SLA Part 2: Cognitive Theories | What do you think you're doing? The paradigm shift from behaviourism to “mentalism”, caused by the publication of Chomsky’s Syntactic Structures in 1957 and subsequent confrontations with Skinner, meant that language learning was now seen as a psychological process going on in “the mind”, a revived construct which had been proscribed by the behaviourists. SLA scholars turned their attention away from teaching and towards the mental process of learning an L2. We may note that they usually ignored Gregg’s perfectly justifiable demand for a property theory; they worked in different, limited domains; their explanations used confusing, sometimes contradictory constructs; their hypotheses were often difficult, sometimes impossible, to test; their studies got support from inconclusive, insufficient, and flawed research; none of the theories provided a full or satisfactory explanation of SLA; and there was little consensus among researchers about fundamental questions of domain or research methodology. While, 60 years later, I think it’s fair to say that there is still no full or satisfactory explanation of SLA, I think it’s also fair to say that a great deal of progress has been made, and that there are now robust, reliable reseach findings which, if given the attention they deserve and acted on, would transform ELT practice. 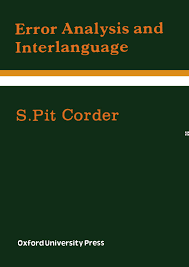 We may begin with Pit Corder, who, in 1967, argued that errors were neither random nor best explained in terms of interference from the learner’s L1; errors were indications of learners’ attempts to figure out an underlying rule-governed system. Corder distinguished between errors and mistakes: mistakes are slips of the tongue and not systematic, whereas errors are indications of an as yet non-native-like, but nevertheless, systematic, rule-based grammar. 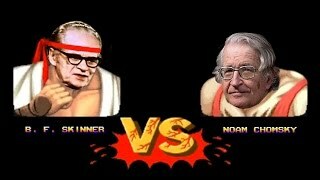 It’s easy to see such a distinction as reflecting Chomsky’s distinction between performance and competence, and to interpret Corder’s interest in errors as an interest in the development of a learner’s grammar. But error analysis, by concentrating exclusively on errors, failed to capture the full picture of a learner’s linguistic behaviour. Schachter (1974) in a study of the compositions of Persian, Arabic, Chinese and Japanese learners of English focusing on their use of relative clauses, found that the Persian and Arabic speakers had a far greater number of errors, but that the Chinese and Japanese students produced only half as many relative clauses as did the Persian and Arabic students. Schachter then looked at the students’ L1 and found that Persian and Arabic relative clauses are similar to English in that the relative clause is placed after the noun it modifies, whereas in Chinese and Japanese the relative clause comes before the noun. She concluded that Chinese and Japanese speakers of English use relative clauses cautiously but accurately because of the distance between the way their L1 and the L2 (English) form relative clauses. While Schacter’s main aim was to challenge the strong claims of the Contrastive Analysis Hypothesis, her study drew attention to the fact that one needed to look at what learners get right as well as what they get wrong. Error analysis had a pedagogical goal: by identifying, classifying, and quantifying errors, remedial work could be planned, based on the kind and frequency of the error. Nevertheless, the seeds of a powerful SLA theory, covering a much wider domain, were planted. Although Corder focused on teaching methodology, the long-term effect of error analysis was to shift SLA research away from teaching and towards studying how L2 learners formulate and internalise a grammar of the L2, on the basis of exposure to the language and some kind of internal processing. While not in a strict chronological sense, the next development in SLA theory was provoked by the morpheme order studies. Dulay and Burt (1975) claimed that fewer than 5% of errors were due to native language interference, and that errors were, as Corder suggested, in some sense systematic, that there was something akin to a Language Acquisition Device at work not just in first language acquisition, but also in SLA. The morpheme studies of Brown in L1 (1973) led to studies in L2 by Dulay & Burt (1973, 1974a, 1974b, 1975), and Bailey, Madden & Krashen (1974), all of which suggested that there was a natural order in the acquisition of English morphemes, regardless of L1. This became known as the L1 = L2 Hypothesis, and further studies (by Ravem (1974), Cazden, Cancino, Rosansky & Schumann (1975), Hakuta (1976), and Wode (1978), cited in Larsen-Freeman and Long, 1991), all pointed to systematic staged development in SLA. The Bilingual Syntax Measure was claimed to have skewed results – it was suggested that any group of learners taking the test would have produced similar results. The category “non-Spanish” was too wide. Morphemes of different meanings were categorised together, e.g., the English article system. Accuracy orders do not necessarily reflect developmental sequences. The total picture of a learner’s use of a form was not taken into account. The type of data elicited was “forced”. After the original studies, over fifty new L2 morpheme studies were carried out, many using more sophisticated data collection and analysis procedures (including an analysis of the subjects’ performance in supplying morphemes in non-obligatory, as well as obligatory, contexts), and the results of these studies went some way to restoring confidence in the earlier findings (Larsen Freeman and Long, 1991: 91). For all its imperfections, this research marked a decisive turning-point in the development of SLA theory, because it focused attention on learners’ staged development in the L2. Even so, it was a modest start: the morpheme studies left most questions unanswered, since even if English morphemes are acquired in a predictable order, this doesn’t mean that all acquisition takes place in a predictable order. As Gregg (1984) pointed out, the morpheme studies lacked any explanation of why this “natural order” was systematic. The emerging cognitive paradigm of language learning perhaps received its full expression in Selinker’s (1972) paper which argues that L2 learners develop their own autonomous mental grammar (interlanguage (IL) grammar) with its own internal organising principles. Differentiation (e.g., Does she like where she lives?). Attention is now being overtly focused on the phenomena of staged development and systematicity in L2 learning; the work is attempting to explain the process of SLA, and to suggest what mechanisms are involved. To the extent that such studies can be taken as support for the view that interlanguage development is at least in part explained by language universals, they can be seen as related to UG theory, but we must stress the distance between the two types of analysis. Interlanguage is not seen in terms of principles and parameters, it is concerned, among other things, with surface grammar, with processing, with skills acquisition. It’s important to note the agreement among researchers at this time that “incompleteness” was a much-commented on phenomenon: most L2 learners’ ultimate level of L2 attainment falls well short of native-like competence. Here again, the difference between L1 acquisition and SLA, and the resultant differences in the appropriate approaches to research and explanation in the two fields is clear. Selinker and Lamendella (1978) suggested that both internal factors (e.g., age, lack of desire to acculturate) and external factors (e.g., communicative pressure, lack of input and opportunities to practice, lack of negative feedback) are at work, but the precise role these factors play and how they interact was not explained. 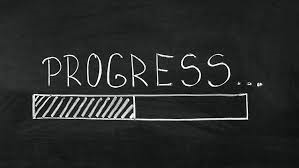 So, there are signs of progress. 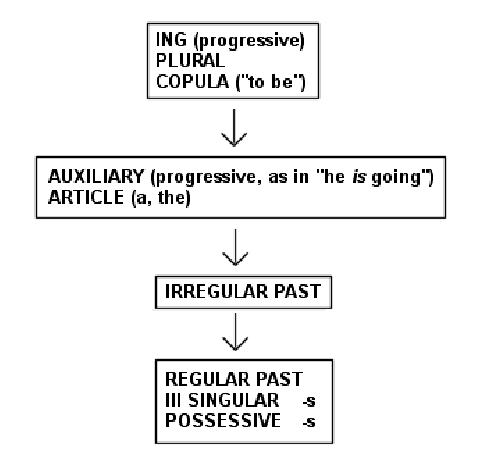 As work progresses, problems of defining key terms and constructs (particularly the implicit/explicit, procedural/declarative, automatic/ controlled dichotomies) are worked on; and, as more stages in interlanguage development are identified (questions, negation, word order, embedded clauses and pronouns being the most important areas (see Braidi, 1999)), things get at once clearer and more complex: the dynamic nature of SLA means that differentiating between different stages is difficult, the stages overlap, and there are variations within stages as McLaughlin’s theory (see Part 3) suggests.